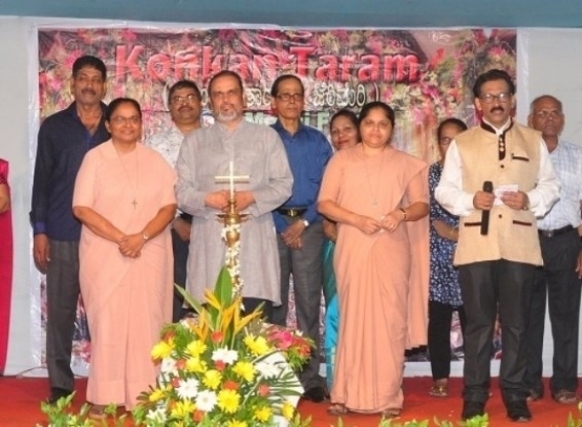 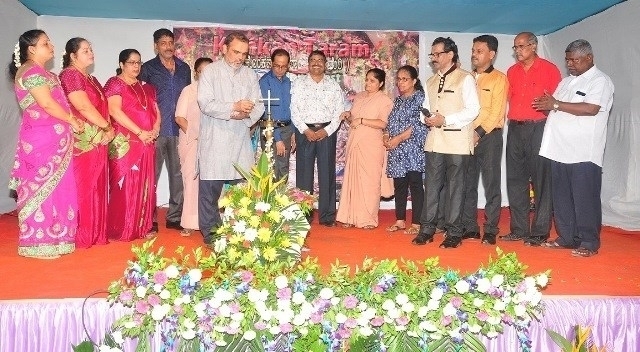 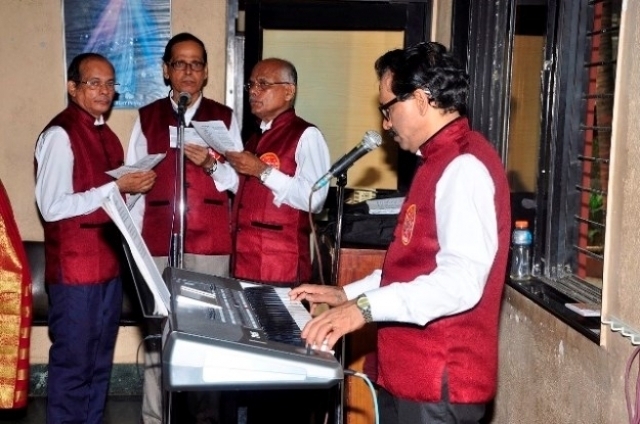 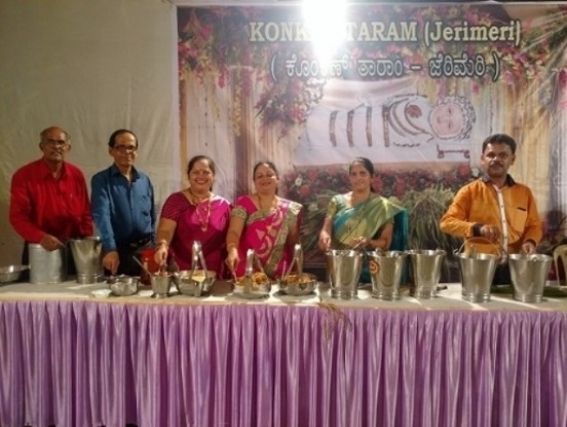 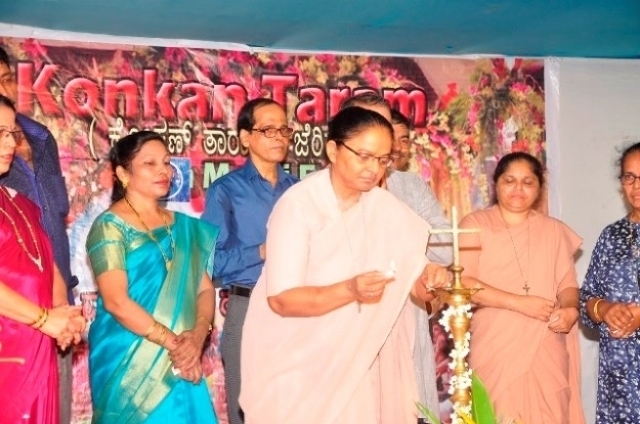 Mumbai: “Konkan Taram ( Jerimeri)” a Konkani Association of St. Jude Church – Jerimeri Mumbai, celebrated their 26th Annual Day on Sunday the 10th September 2017 at 7.00 p.m. at Mumbai, St. Jude School Hall. 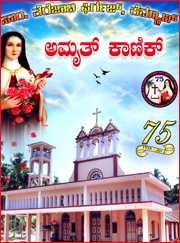 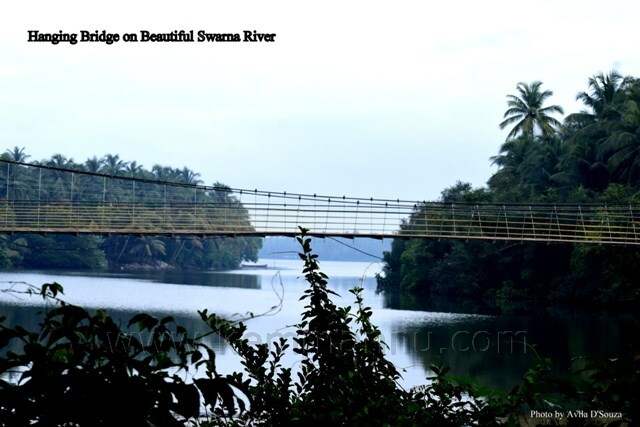 On this occasion they combined the celebration of Monti Fest and also released a New Devotional CD of ‘Jossie Moras”, (music and recording by Thushara Kuruvitage.) 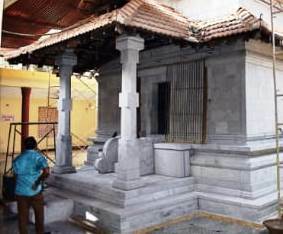 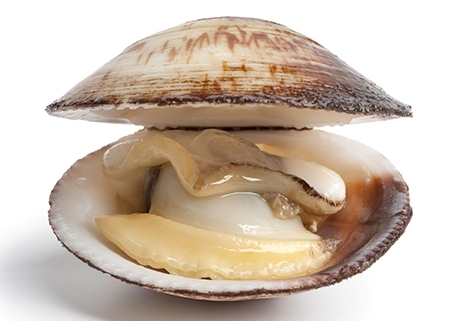 called “TUJIA NIVASANT”. 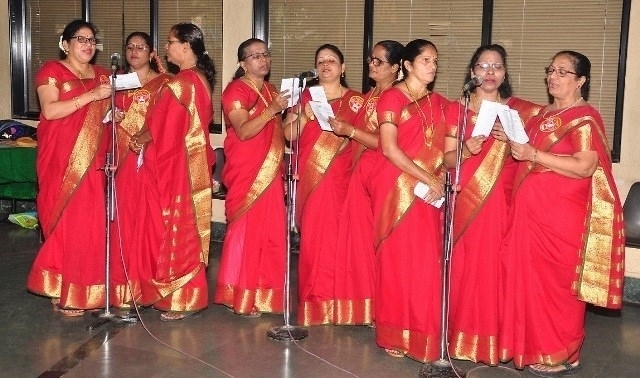 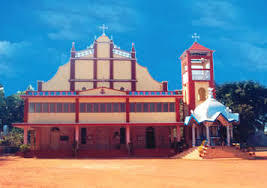 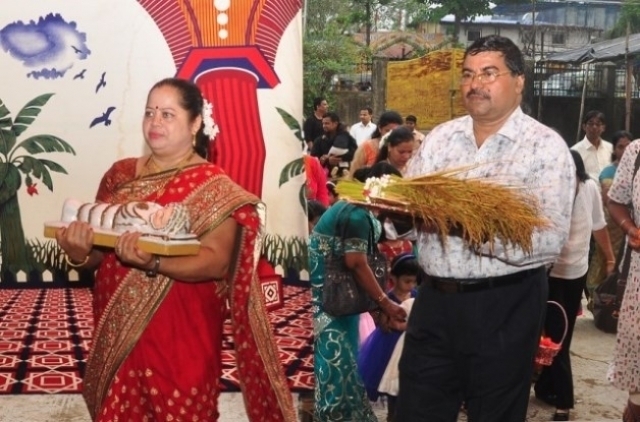 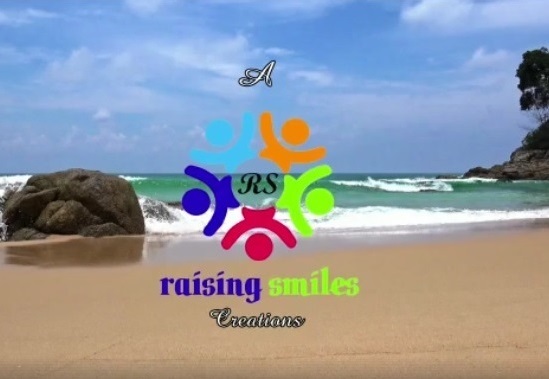 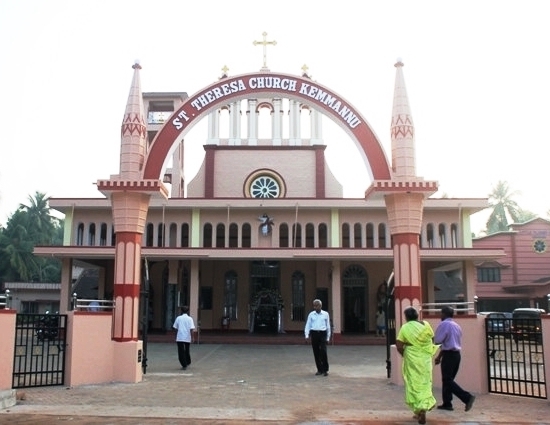 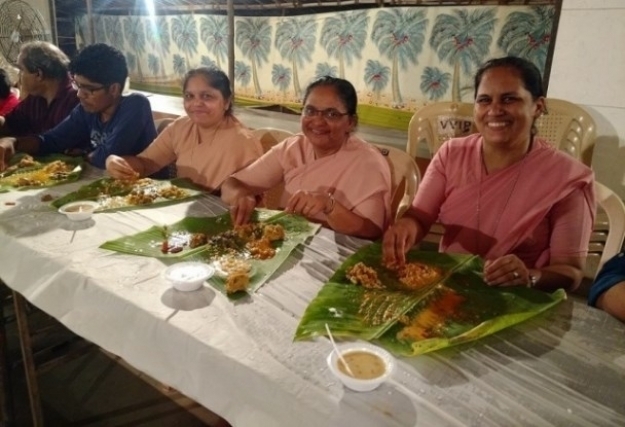 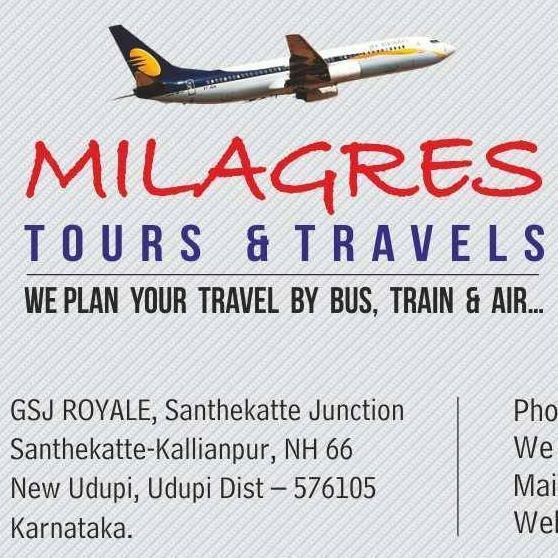 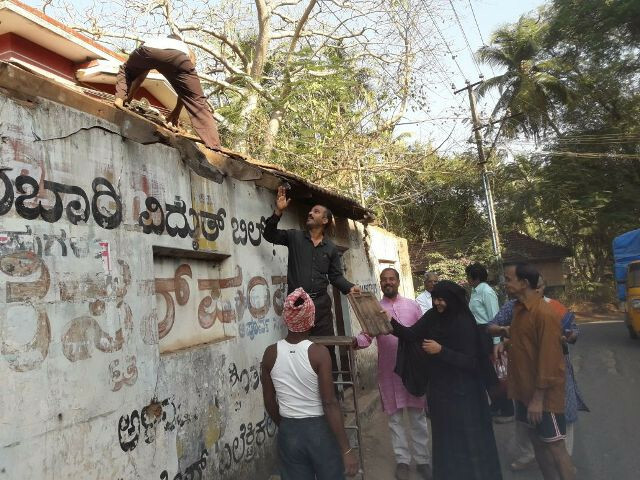 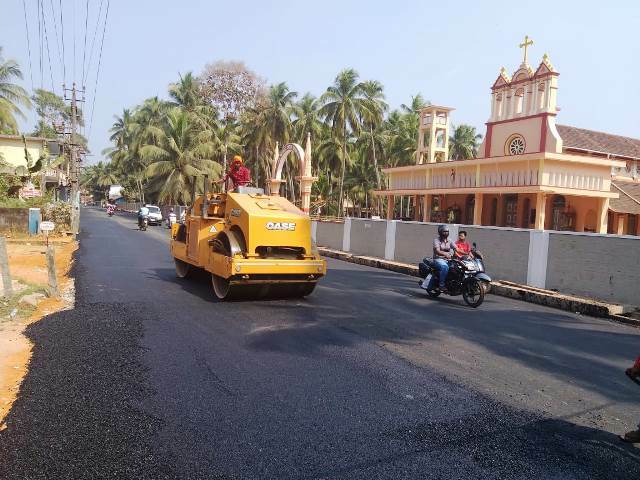 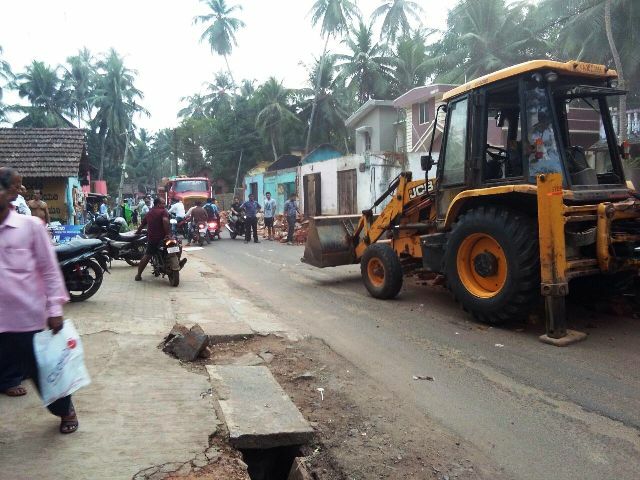 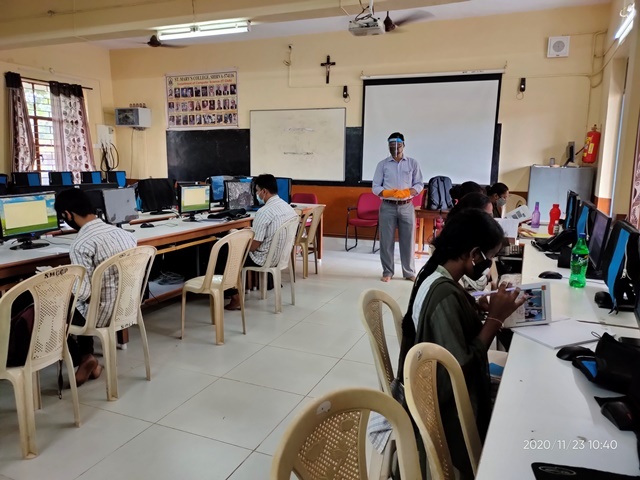 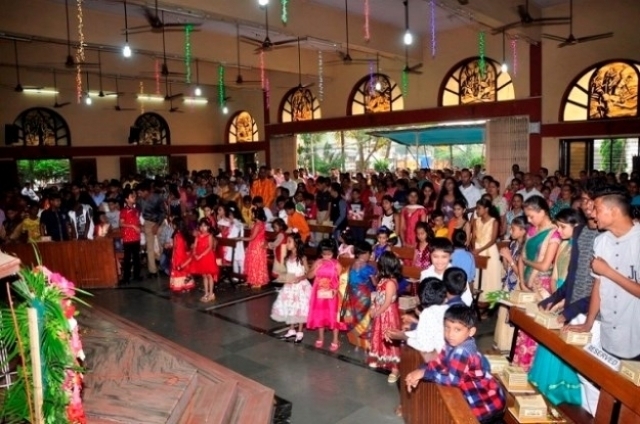 The Konkani Association has been taking active part in all Social, Cultural and Liturgical activities of St. Jude parish since last 26 years. 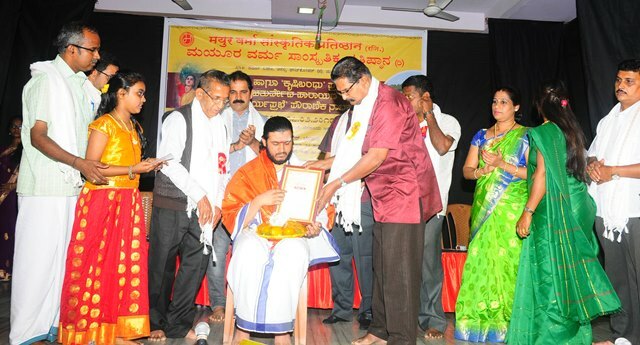 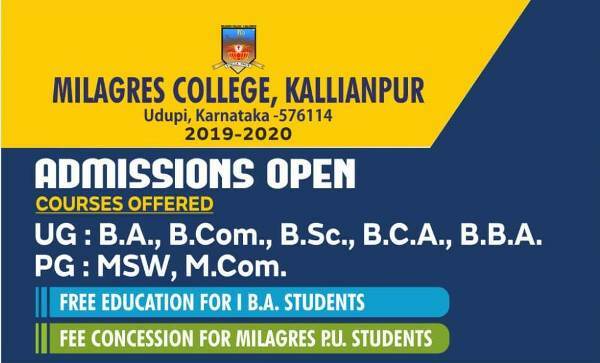 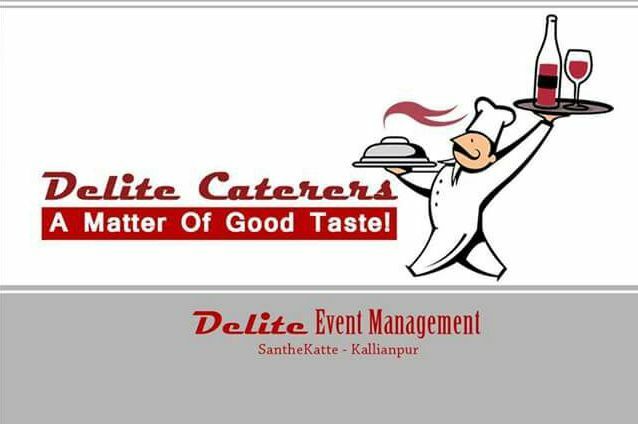 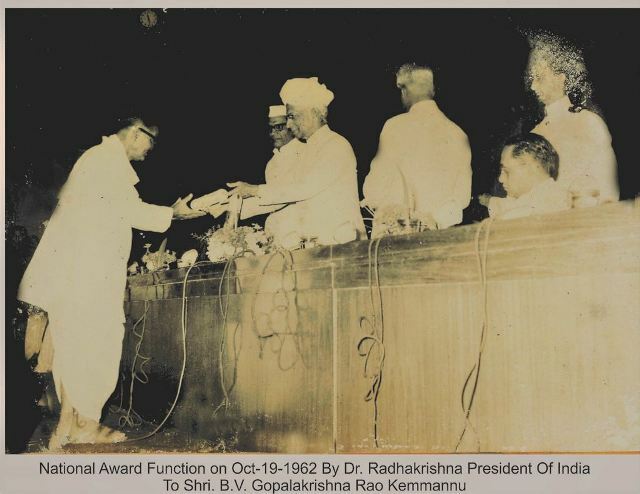 Chief Guest Fr. 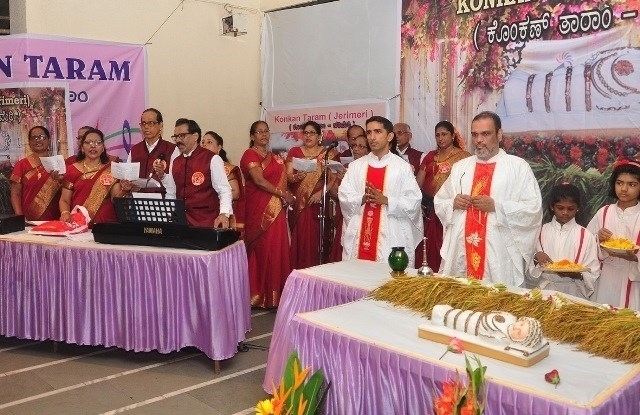 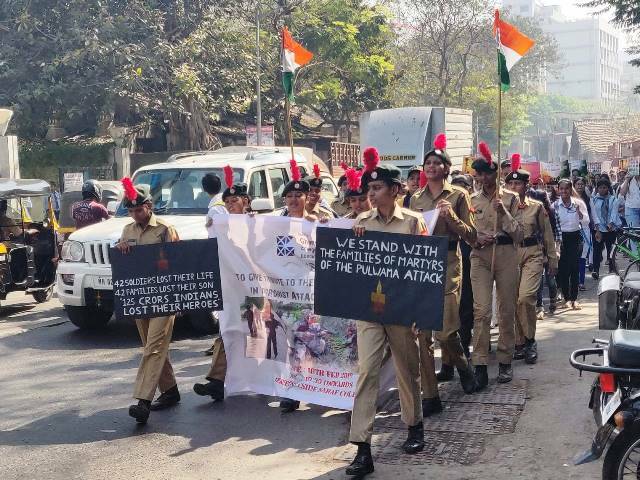 Allwyn Pinto SVD., ( from Provincial House, Bandra ) celebrated the Eucharist. 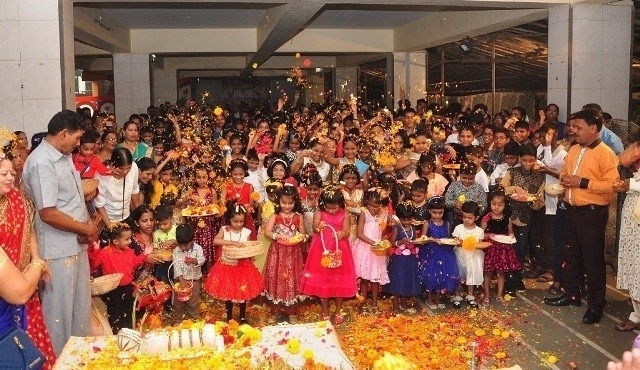 Children showered flowers to ‘Maria Bomina” ( Mother Mary ) as per Mangalorean Tradition. 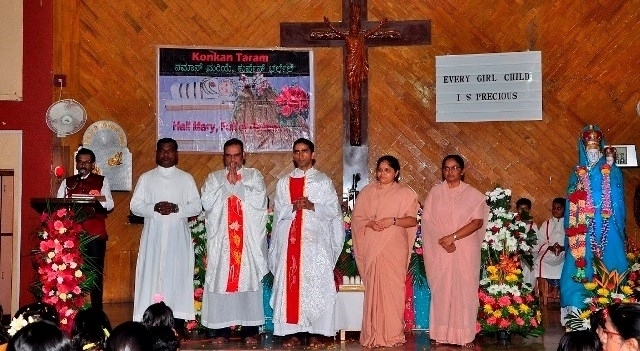 Novem ( corns ) were blessed by Fr. 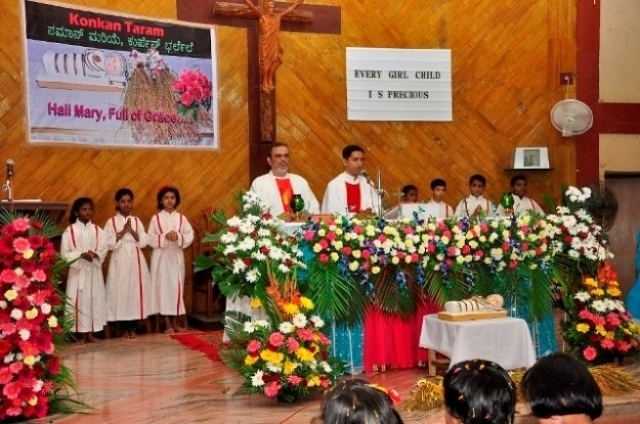 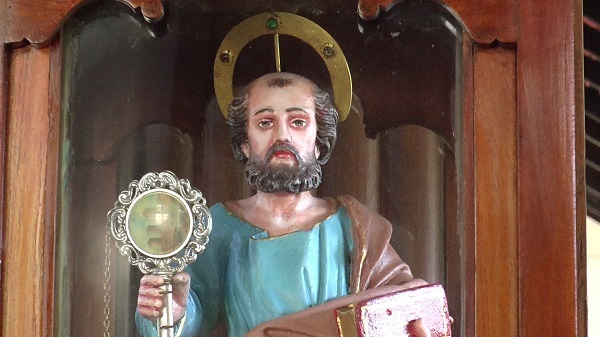 Lancy Pinto (Parish Priest – St. Jude Church ). 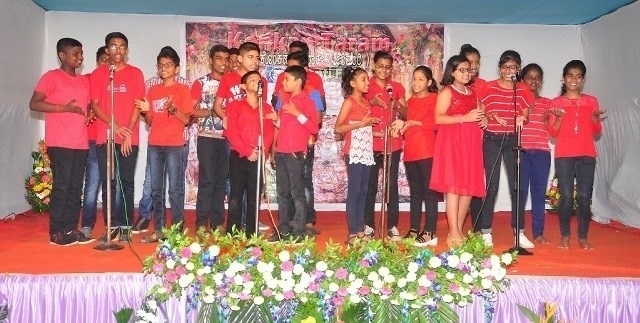 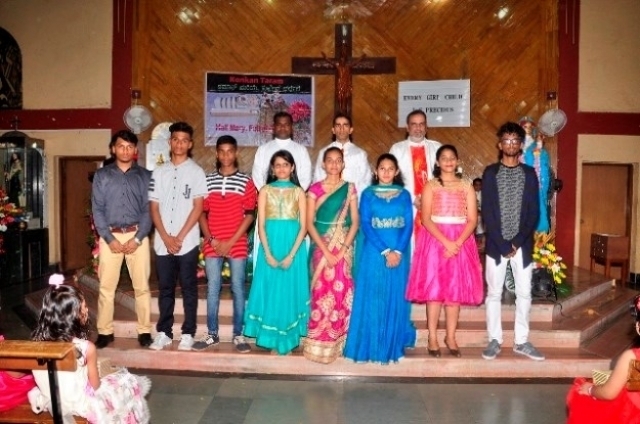 Choir Master John Mascarenhas and Choir Members Jacintha, Juliana, Gracy, Leo Dsouza, Fredrick, Joseph, Margaret, Severine, Irene Martis, Eliza, Irene Dmello and Mercin sang relevant hymns with melodious music. 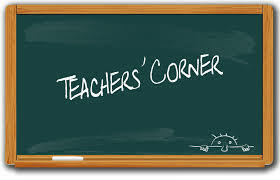 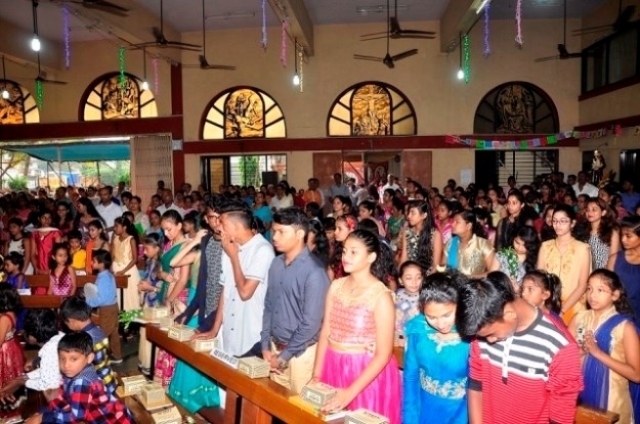 Liturgy incharge Margaret Pinto and Juliana Mascarenhas trained Jenisha, Joylene, Sheryl, Princia, Noel, Alton, William & Robin, for liturgical readings and prayers. 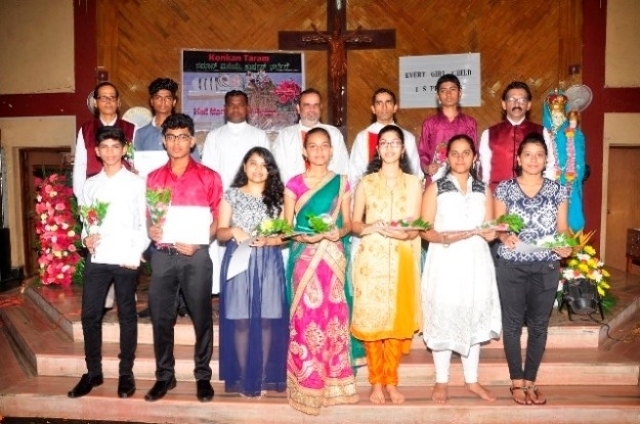 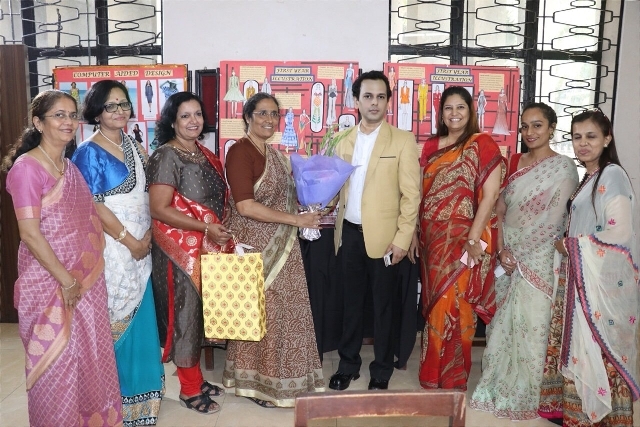 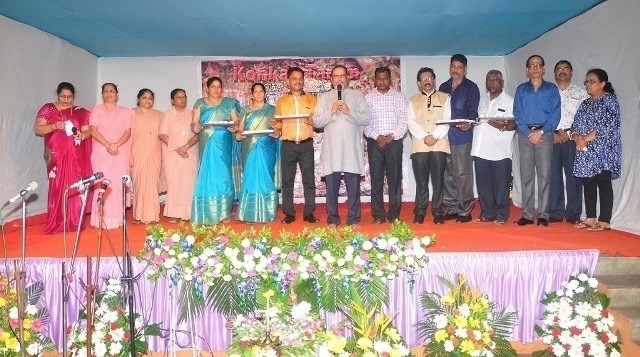 During felicitation programme, the Gen. Secretary John Mascarenhas felicitated the guests on the dias and President Joseph D’Souza felicitated the S.S.C toppers ( above 70% ) of the parish, viz: Lenin Fernandes, Ashley Britto, Wilinta Sequeira, Jenis D’souza, Metilda Fernandes, Lewin Fernandes, Leanne Misquith, Rishal Lasrado and Sylvester Lewis, with gift vouchers and appreciation certificates. 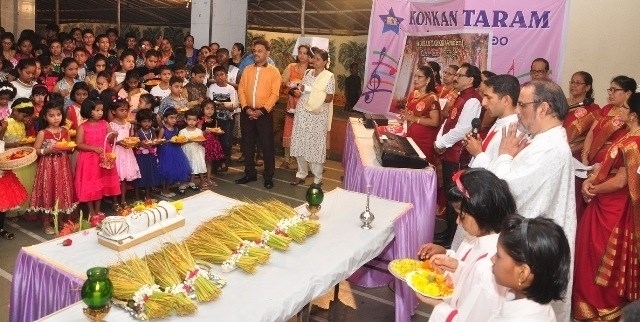 Note Books, snacks, corns and sugarcanes were distributed to all parishioners. 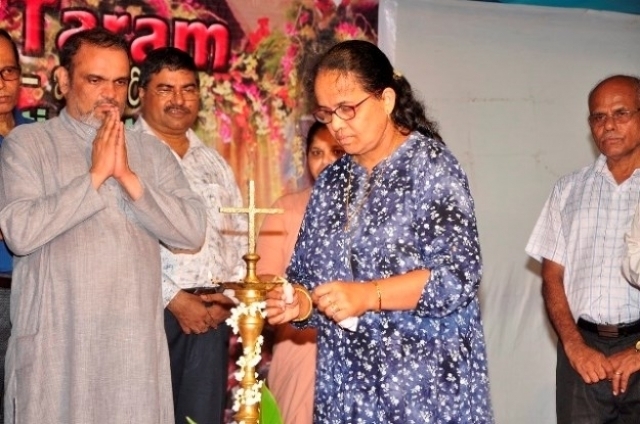 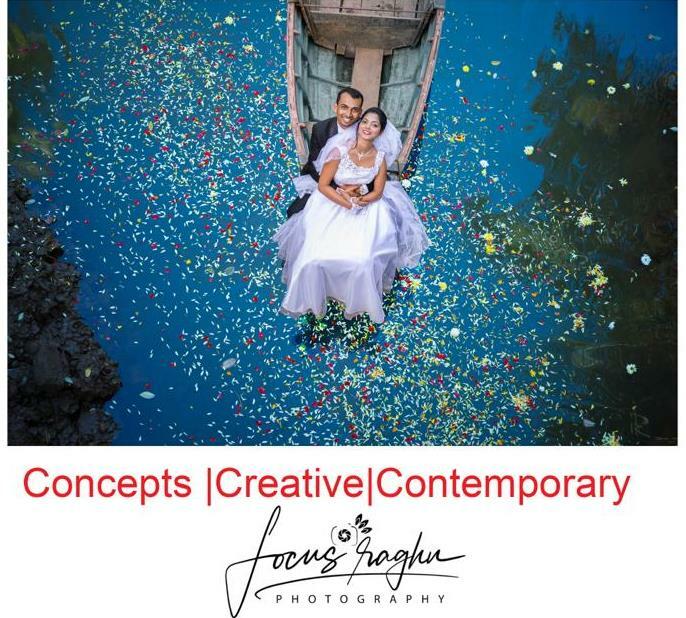 Sr. Tejaswini and Fr. 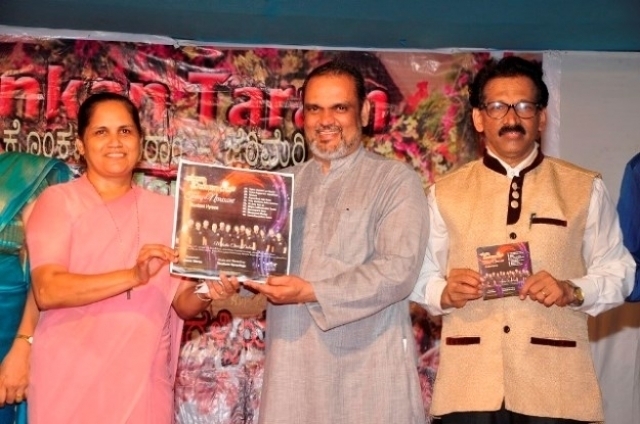 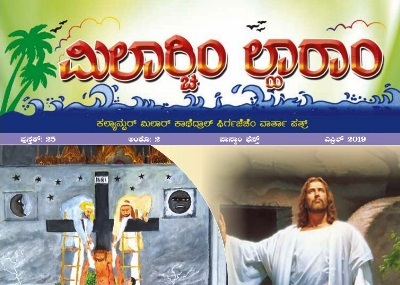 Lancy released the new devotional hymns’ audio CD of Jossie Moras, music and recording by Thushara. 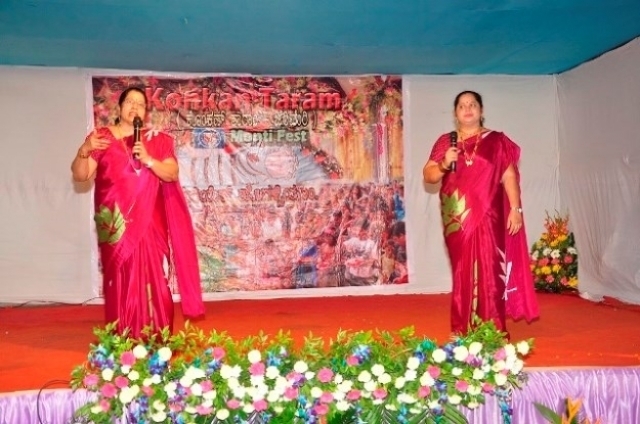 Cultural incharge Flora D’Souza and Melony Cordeiro arranged and anchored the cultural items. 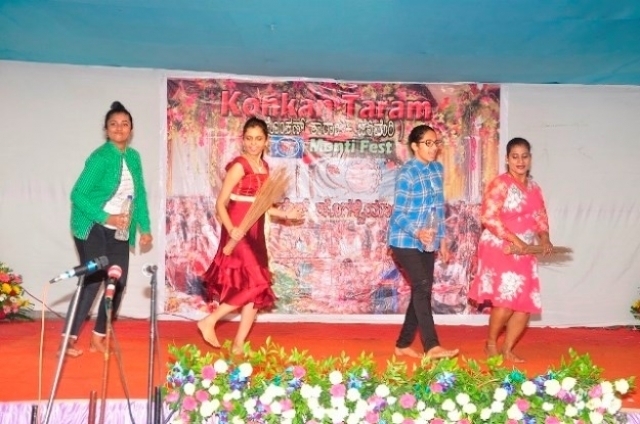 Prescilla and team members Joylene, Remita and Sheryl presented Remix Dance. 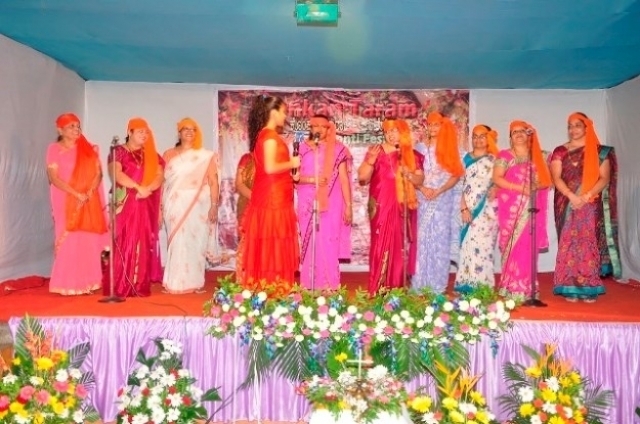 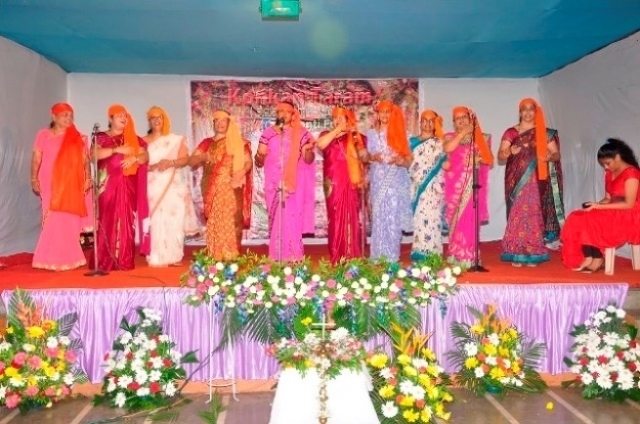 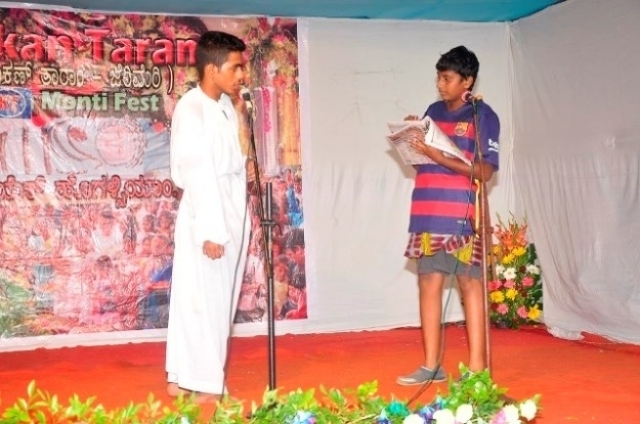 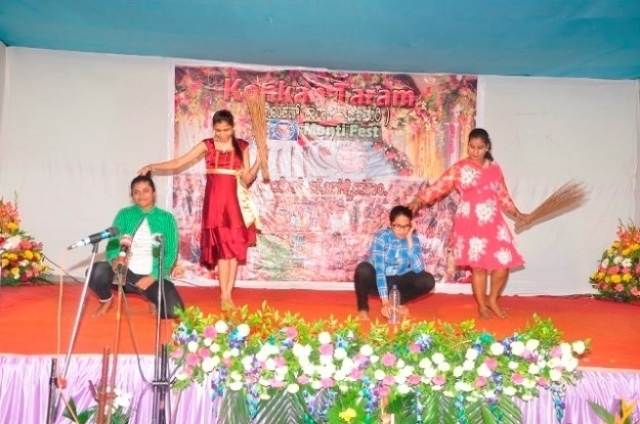 Konkan Taram mahila group presented “Dhuvek Soirik” kavali and small children presented “Sonu tuka konknicher bhorvoso nagi” , while Leander and Joswin presented a skit “Ganti Dook”. 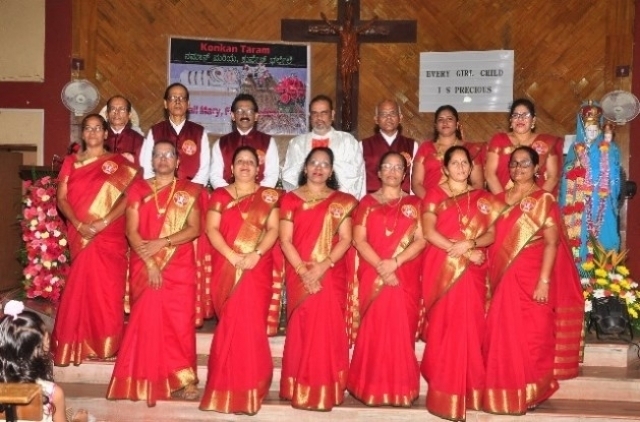 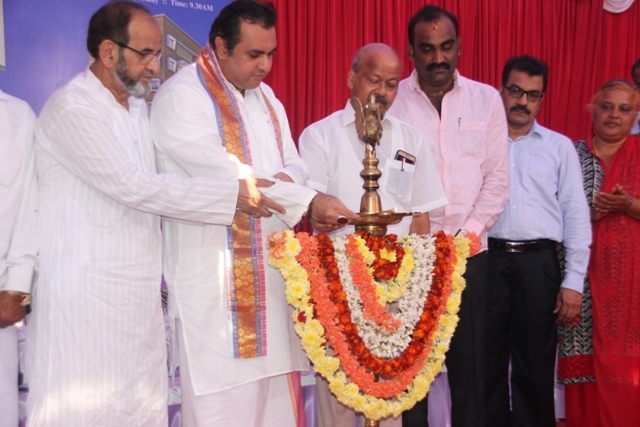 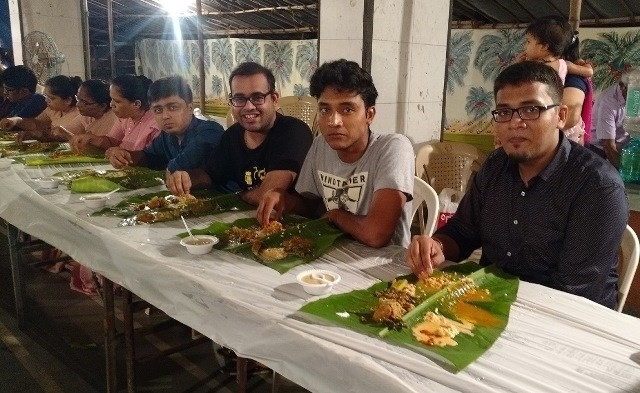 Programme ended with Lau Date Dominum and traditional “Novem Jevan” (Dinner) as per mangalorean tradition.